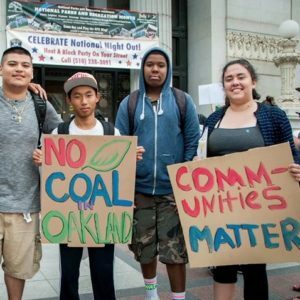 The City of Oakland recently terminated its entire contract with Phil Tagami, would-be coal-export-terminal-developer, to develop the former Oakland Army Base! Come to a community meeting where No Coal in Oakland will discuss what this means. * and the formation of a regional No Coal coalition including Richmond and Vallejo.